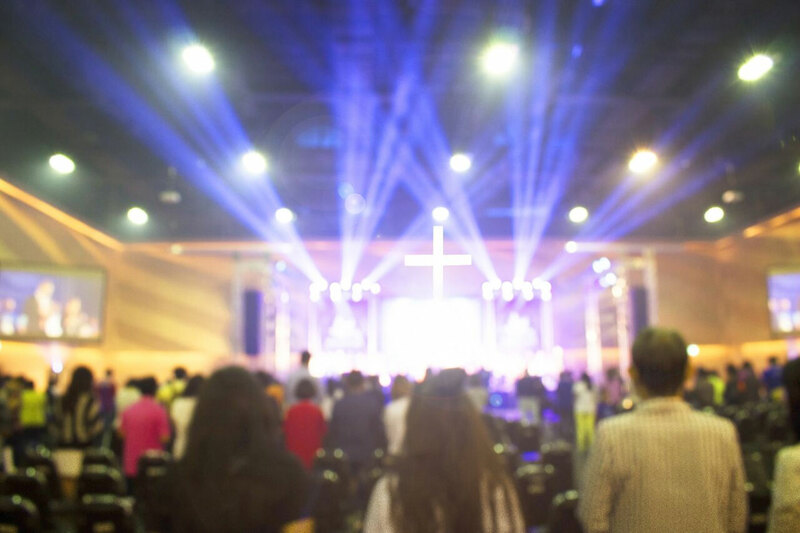 We are pleased to report that our client, West Valley Christian Center located in the Chatsworth area of Los Angeles, has reached a tentative settlement in its religious land use case against the City of Los Angeles, California. Permits have issued, construction has commenced and assuming the City Council confirms the settlement, damages and attorney fees are to be paid within the next ninety days. 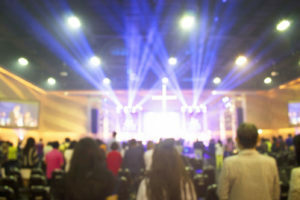 By way of background, West Valley Christian Center of Los Angeles County, Incorporated (“WVCC” or “Church”) is a well-established Christian congregation that has continuously operated in the West Valley area of Los Angeles for more than 80 years. After worshiping at the same location in Canoga Park for 47 years, the Church sold its former facility and purchased another parcel in Chatsworth (the “Property”). Houses of worship are permitted on the Property with conditional use permit (CUP) and in Los Angeles, a property owner must secure the consent and approval of the locally elected City Council member to obtain the CUP. In this case, the relevant City Council member’s office denied 26 separate locations identified by the Church. When asked for an appropriate location, the Council Member’s staff told the Church to buy the land from his supporter, who sits on the North Area Planning Commission. The Church spoke with the property owner who told them that he would first check with the Council Member to confirm that he would approve the use of the Property as a Church prior to agreeing to sell the land to it. Thereafter, the property owner sold the land to the Church. In preparing its conditional use permit (CUP) application, the Council Member directed the Church to meet with the local neighborhood planning group and secure their approval. The local neighborhood group informed the Church in no uncertain terms that it would never approve a Church at that location and any other location in Chatsworth as they believed the community had enough Churches. The Church tried to satisfy the local planning group by reducing the size of the building and making it look “less church like” and more like a “residence” to blend in with the neighborhood. Nevertheless, the neighborhood group vehemently opposed WVCC’s proposal. Accordingly, the Council Member changed his position and opposed WVCC’s proposal. The Church then submitted a CUP application to the City. The Zoning Administrator evaluated the application, held public meetings and then confirmed and approved the application with 29 separate limitations of approval aimed to address the neighborhood group’s concerns. The area residents appealed the conditional use approval to the North Valley Area Planning Commission (NVAPC). The NCAPC held a public hearing on the appeal at which the AZA reiterated his previous findings in support of the Church’s application. Despite these well-supported findings, the Planning Commission decided—with no evidence to support its beliefs—that the Church’s proposal would cause traffic congestion problems in the vicinity. Based on these unsubstantiated beliefs, the commission voted 3-1 on February 5, 2017 grant the appeals. The case law in California provides that, “A substantial burden exists where the governmental authority puts substantial pressure on an adherent to modify his behavior and to violate his beliefs.” Int’l Church of Foursquare Gospel v. City of San Leandro, 673 F.3d 1059, 1067 (9th Cir. 2011) (internal quotations omitted). Once the Church establishes that the City imposed its land use regulation in a manner which substantially burdened its religious exercise; the burden shifts to the City to show the burden furthers a compelling government interest and is the least restrictive means of furthering that interest. 42 U.S.C. § 2000cc-2(b). Compelling state interests are “interests of the highest order.” Church of Lukumi Babalu Aye, Inc. v. City of Hialeah, 508 U.S. 520, 546 (1993). “Demonstrating a compelling interest and showing that it has adopted the least restrictive means of achieving that interest is the most demanding test known to constitutional law.” City of Boerne v. Flores, 521 U.S. 507, 534 (1997). The standard “is not watered…down but really means what it says.’”Lukumi, 508 U.S. at 546 (internal citations omitted). The Church also asserted an Equal Terms claim under RLUIPA, which, provides that “[n]o government shall impose or implement a land use regulation in a manner that treats a religious assembly or institution on less than equal terms with a nonreligious assembly or institution.” 42 U.S.C. § 2000cc(b)(1). The case law in California provides that a plaintiff alleging an equal terms violation must show four elements: (1) there must be an imposition or implementation of a land use regulation, (2) by a government, (3) on a religious assembly or institution; and (4) the imposition or implementation must be on less than equal terms with a nonreligious assembly or institution the City has approved. Centro Familiar Cristiano Buenas Nuevas v City of Yuma, 651 F.3d 1163, 1170-71 (9th Cir. 2011) (citing 42 U.S.C. § 2000cc(b)(1)). If the Church can show a prima facie case of unequal treatment, the burden shifts to the City to show otherwise. 42 U.S.C. § 2000cc–2(b). Los Angeles was not be able to prove that the Planning Commission’s decision was in furtherance of a compelling governmental interest and the least restrictive means of furthering that compelling interest. See42 U.S.C. § 2000cc(a)(1); 42 U.S.C. § 2000cc-2(b). The Planning Commission chose to ignore the well-reasoned findings of Zoning Administrator and instead approve the appeal based entirely on unsubstantiated, hypothetical concerns. At the Planning Commission hearing, Zoning Administrator thoroughly explained how the Church’s request satisfied all three findings needed to approve a CUP. The Zoning Administrator also noted how he had imposed 29 conditions on the CUP that addressed the concerns the appellants were trying to raise on appeal. The Zoning Administrator further reiterated how the Church’s proposal did not necessitate a traffic analysis report because of how few vehicular trips it generates at peak hours. Nonetheless, the Planning Commission still voted to overturn the CUP approval based on these unsubstantiated traffic safety concerns. In approving WVCC’s CUP request, the Zoning Administrator imposed 29 separate conditions intended to alleviate the traffic congestion and safety concerns expressed by area residents. Nevertheless, the Planning Commission reversed AZA Chu’s decision and denied WVCC’s CUP request to use the Property for religious purposes. While a Planning Commissioner openly noted at the hearing he is “not a traffic expert” and his perceived traffic issues were “pure conjecture,” he and two other Commissioners still chose to ignore the traffic safety study the City adopted and approve the appeals because “traffic safety seems to be a major issue.” By ignoring the Zoning Administrator’s findings and approving the appeal, the City actually employed the most restrictive means possible. The law in California provides that whether the City’s imposition of a land use regulation was on less than equal terms with a nonreligious assembly or institution. Centro Familiar, 651 F.3d at 1170-71. According to the Ninth Circuit, an equal terms “analysis should focus on what ‘equal’ means in the context.” Id.at 1172. “Equality, except when used of mathematical or scientific relations, signifies not equivalence or identity, but proper relation to relevant concerns.” Id. (internal quotations omitted). Following this reasoning, a municipality “violates the equal terms provision only when a church is treated on a less than equal basis with a secular comparator, similarly situated with respect to an accepted zoning criteria.” Id.at 1173 (emphasis added). The Centro Familiar court held that objective characteristics of a particular use, including parking and traffic control, qualify as “accepted zoning criteria.” Id. The City treated WVCC on a less than equal basis with a secular school that is similarly situated with respect to several accepted zoning criteria. In 2006, the City granted the Sierra Canyon School (“Sierra Canyon”) a CUP to build a private secondary school in the Chatsworth area of the City. The dictionary defines “assembly” to mean, among other things, “a group of persons gathered together;” and “institution” to mean, among other things, “an organization having a social, educational, or religious purpose, as a school, church, hospital, reformatory, etc.” Federal courts have also held that schools are valid secular comparators for purposes of an Equal Terms claim. See, e.g., Church of Our Savior v. City of Jacksonville Beach, 69 F. Supp. 3d 1299, 1322-23 (M.D. Fla. 2014). Thus, Sierra Canyon is a valid secular comparator. Near the close of discovery, the parties met for a settlement conference to review the case and see if the matter could be resolved. The conference did not resolve the case, but, it left the door open for conversations to occur that resulted in additional discussions leading to settlement. The professionals at Dalton & Tomich PLC, including Daniel Dalton, Noel Sterett, Kate Harrison and Larry Opalewski took the team approach to resolve the case through the time honored strategic and well planned aggressive litigation techniques that we have used throughout the past decade. We are pleased to have resolved this case and look forward to the opening of West Valley Christian Center in the December 2018.